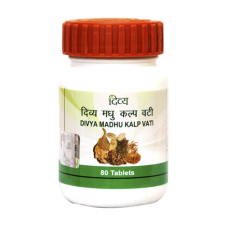 Divya Madhukalp Vati is an effective Ayurvedic remedy for diabetes. It strengthens the pancreas and restores its ability to regulate glucose level in blood. Divya MadhukalpVati is prepared from herbal extracts. It does not have side effects. Divya Madhukalp Vati helps control the disease at its roots and thus prevents the onset of diabetes-related complications. Don't let diabetes hold you back. 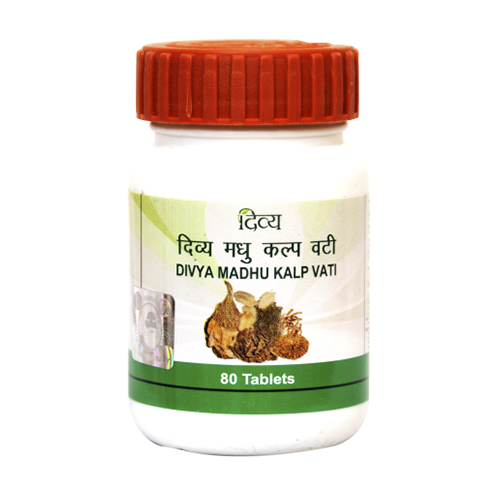 Take Divya Madhukalp Vati regularly to lead a wholesome and healthy life.